The following post is sponsored by FitApproach on behalf of Freekeh Foods. I was not compensated for my opinions, but I did receive product in exchange for this post. All opinions are, of course, my very own. Did you know that September is officially Whole Grains Month? I know, right. They get their own month and rightfully so because whole grains are very good for you. Why? According to the Whole Grains Council, you can reduce the risk for a variety of chronic health issues when you eat whole grains. We're talking diabetes, heart disease, asthma and certain cancers. Of course, whole grains can help you control weight gain, too. But what exactly is a whole grain? The Whole Grains Council (obviously the expert) defines them as "whole grains or foods made from them that contain all the essential parts and naturally-occurring nutrients of the entire grain seed in their original proportions." Translation: Grains that aren't processed to oblivion. Now, whole grains can be processed and still retain their status. As long as all the parts and pieces are in the finished food, the food itself will qualify as a whole grain. Types of whole grains? Oats, obviously. Plus (among other things) buckwheat, barley, corn, amaranth and (drumroll) freekeh. Raise your hand if you've heard of freekeh. Not a common whole grain, right? Guess what? It's really good stuff. And an excellent source of protein and fiber. 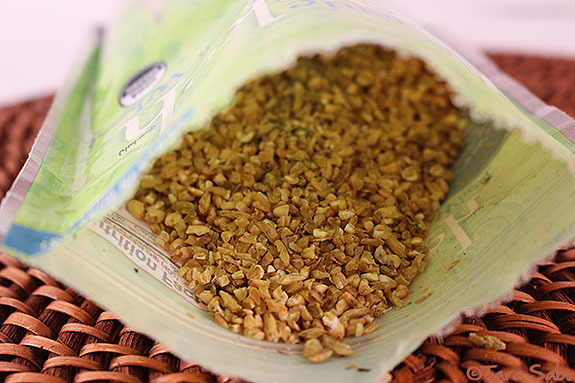 Freekeh is a grain that's harvested while the plant is still young, or green. It gets roasted, then rubbed down and packaged for your convenience. It kind of has the texture of, say, steel-cut oats but with a smoky taste to it. Which makes it a great addition to a variety of different dinner dishes. I was given a bag of freekeh that was seasoned with rosemary and sage. 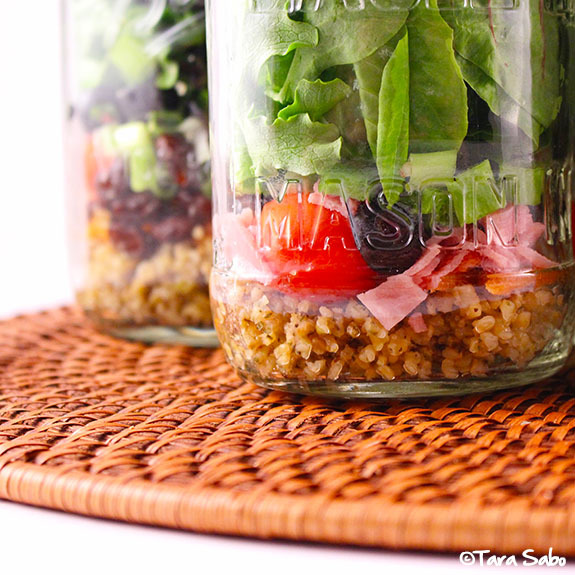 I cooked up the entire thing and portioned it out into what ultimately became mason jar salads. 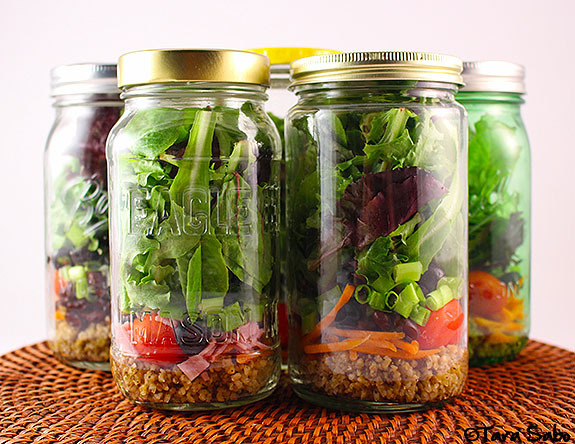 If you've never prepped salads in a jar, you need to jump on this bandwagon. They couldn't be easier to make, or easier to eat. 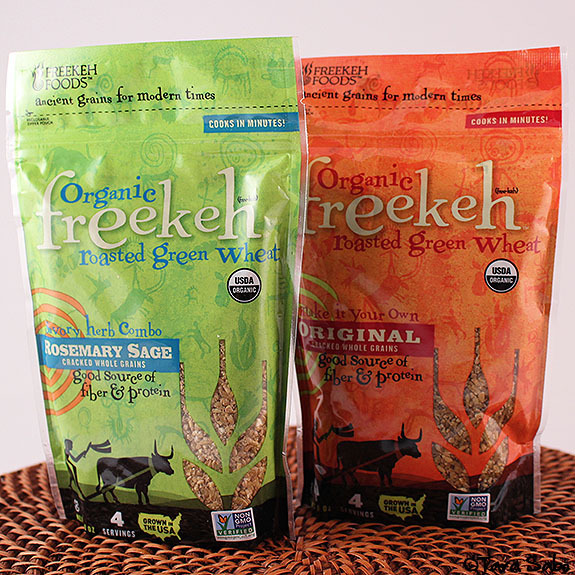 Still not convinced freekeh is for you? Explore it. 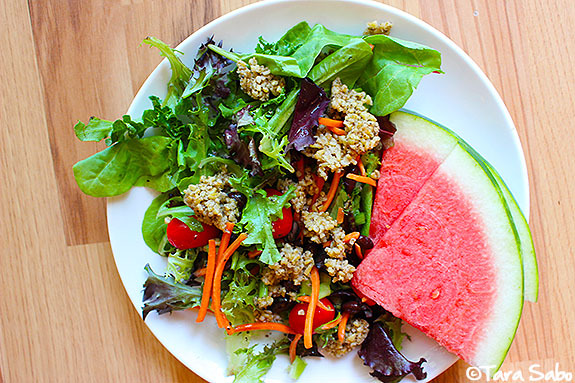 Switch up your whole grains routine. You can use freekeh in almost any dish that requires a whole grain. Soups, stews, tacos...warm breakfast cereal. It works. And it's good. Find it a Whole Foods (where else, eh?) and on Amazon. Or use the store locater on the Freekeh Foods website to hunt down something else that's local. Or, I mean...you can enter to win some. Contest ends Tuesday, August 8, 2015 at midnight EST. Winner will be notified via email. Again, I was not compensated for this post, but I did receive free product in order to facilitate this review.